Tolosa Children’s Dental Center is a 501(c)3 nonprofit organization that was established in 1994. Tolosa Children’s Dental Center* (TCDC) opened in 2003 to address what was then identified as the greatest unmet health need in San Luis Obispo County—the need for access to affordable children’s dentistry for low-income families. It has since become a ‘dental home’ serving over 6,000 children each year; approximately 1,200 individual children are seen each month; over 16,000 individual children seen, in total, since it first opened. *Originally named La Clinica de Tolosa, the name was changed in 2013 in celebration of its 10th anniversary and to better convey the nature of the business and comprehensive dental services it provides. To improve children’s dental health in San Luis Obispo County. Children in need in San Luis Obispo County have optimal oral health through access to compassionate, high quality, comprehensive dental care. 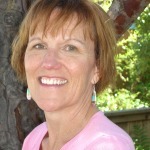 Ms. Russell has an extensive background and proven track record in dental practice administration and management having worked for several prominent dental practices in San Luis Obispo County since 1987. As Clinic Director since May of 2007, Ms. Russell effectively manages all aspects of the clinic’s financial and human resources, ensures adherence to policies and standard operating procedures while assuring quality, efficiency, productivity, patient satisfaction and compliance with State and Federal regulations. 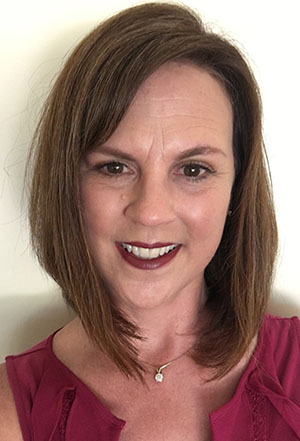 In addition, Ms. Russell is competent in public relations, representing TCDC at numerous public speaking opportunities and building partnerships with our collaborating agencies. My family chose to return to the Central Coast 15 years ago. Raising our two children and a growing “farm”, it doesn’t get much better than SLO County. I am so fortunate to do what I love, champion and advocate for local kids with a first rate non-profit. I joined TCDC in 2017 with hefty goals. The patients, staff, board and community support make TCDC a special place to work and connect the needs of our community with necessary pediatric oral health care. I look forward to meeting more community members at our events and helping our most important residents- kids in our community. Board Members serve minimum 2-3 year terms. Regular board meetings typically take place on the second Friday of every month (usually taking one month off in the summer) from 12:30-2:00pm with a casual lunch provided. If you are interested in learning more about board membership, contact the executive director at tcdcinfo@tolosadental.org. In 2016 we undertook the periodic process of defining our direction as an organization. We identified three goals that will be used to guide all our work over the next three years – first among them is to continue to serve as a dental home even more Denti-Cal children in San Luis Obispo County. Learn more HERE about the specifics of our strategic goals and objectives, and please CONTACT US for more information. Tolosa Children’s Dental Center (TCDC) collaborates with many local agencies and organizations that provide or connect low-income families to health and social services to ensure those families with children in need of dental care are aware of services available at TCDC. TCDC staff and board members have been active participants in the SLO County Children’s Oral Health Coalition since it was formed in 2008. The Coalition was created to provide input regarding the best strategies to improve children’s oral health in San Luis Obispo County. 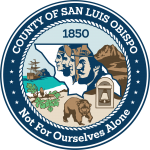 County of San Luis Obispo. Community Action Partnership - To find additional health services in SLO County, go to www.capslo.org or call 544-2478 for information.